We believe beautiful meals can be the birthplace for conversation, courage and connection. On this special evening, listen, converse and celebrate the stories of refugee women and understand how the power of storytelling can spark empathy and change. 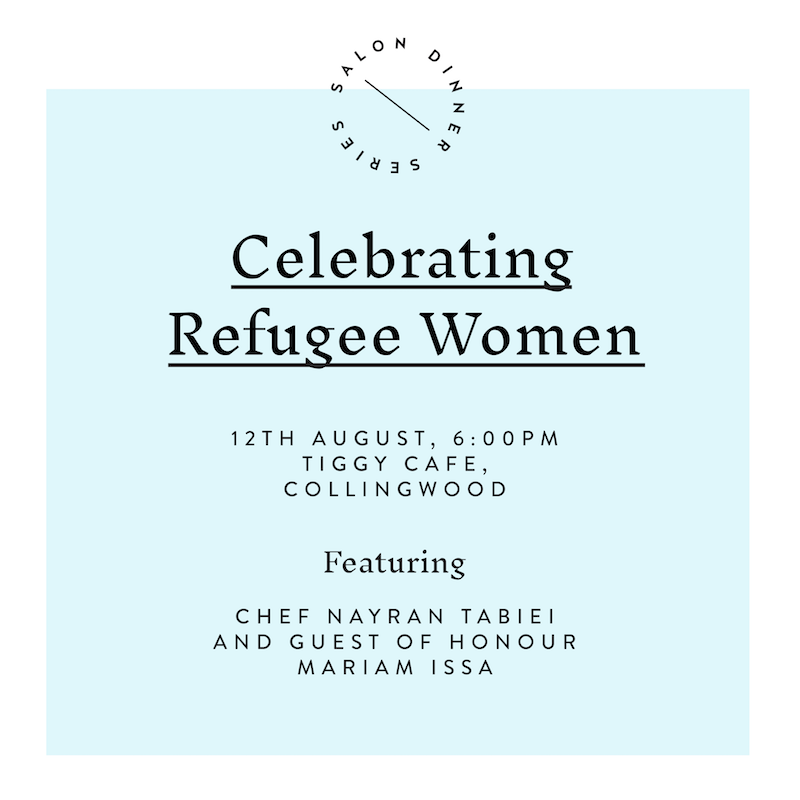 To coincide with the launch of our upcoming episodes which share the stories of four refugee women - Nayran Tabiei, Fadak Alfayadh, Ayan Shirwa and Akuol Garang - this night is a celebration of the courage and strength of refugee women - all of whom have valuable insights and wisdom to share on of self-love, vulnerability and owning your story. Enjoy a beautiful Syrian feast cooked by Nayran Tabiei herself, and listen to an inspiring talk by the wonderful Mariam Issa who will share her own story of overcoming obstacles to arrive at where she is today. You'll be joined by some of the women we had the honour of interviewing for these upcoming episodes and you'll be able to listen, talk deeply and ask questions, while exploring the power of owning your story and how to do so in a world that often tells women, in one way or another, we're not enough. As always, her words events are accessible and open to all.